Run, ride, climb—just don’t go without the up-for-anything Houdini® Jacket. It encourages improvisation with its updated weather-resistant 100% nylon ripstop fabric, which blocks wind and withstands abrasion. The slim fit accommodates a baselayer or a light midlayer; the hood cinches with a single pull and won’t pinch your ears; cording, toggles and cuffs are all trim and lightweight. Half-elastic cuffs seal the wrists, and a drawcord cinches the hem. It packs snugly into its own small, vertically zippered chest pocket, which has a reinforced clip-in loop for attaching to your hydration-pack straps. 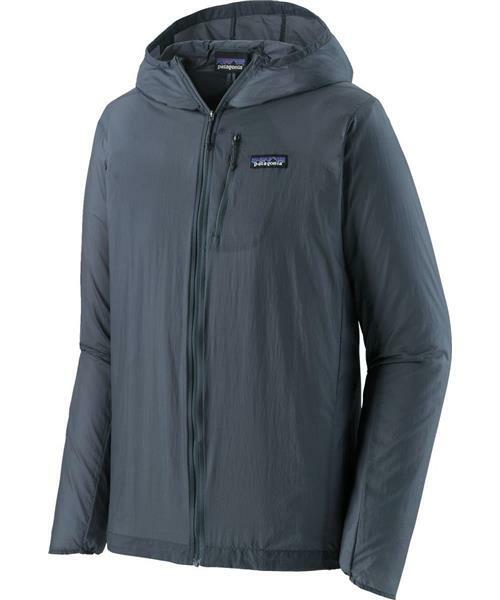 A DWR (durable water repellent) finish coats the shell and the center-front zipper. With a reflective logo on the left chest and center-back neck. Houdini Jacket - Mens is rated 1.0 out of 5 by 1. Rated 1 out of 5 by Chuckie from Terrible Quality So thin and see-through texture, useless hood jacket in spring that i want to refund or exchange with other brand but so far no action.